Last Wednesday I was fortunate to be able to fulfil one of my teenage dreams….. I was only invited to go behind the scenes at my local McDonalds !!! 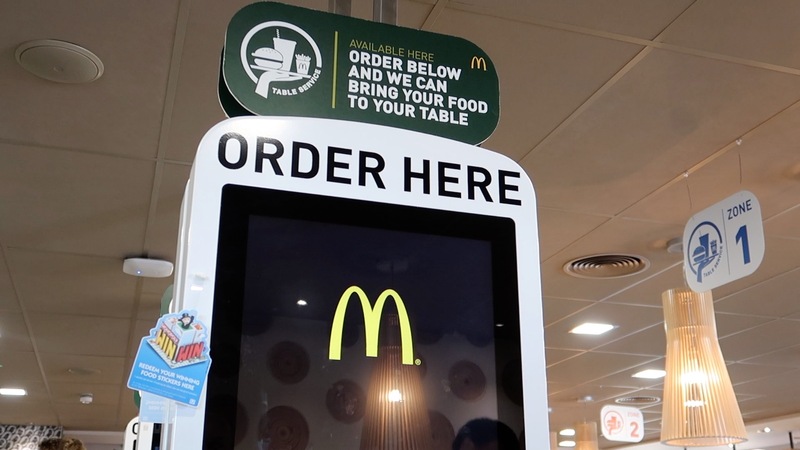 Now this might seem a little odd and random to some but I have to openly admit that for as long as I can remember I’ve wanted to work at McDonalds. Every time I visit I always admire how organised they seem in the kitchen and behind the counter. I love how everyone seems to work as a team, how everyone knows their role and what’s required of them and of course how fast they are at preparing 1000’s of peoples meals per day! 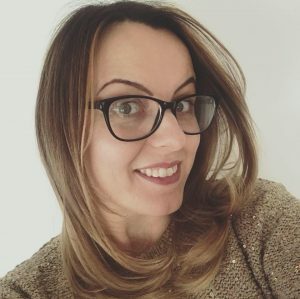 This busy, chaotic yet extremely organised way of working is something I thrive on in my own personal life and whilst at work which is why i think I can relate and admire it so much…. I would love to have “a day in the life of a McDonalds worker”! This invite wasn’t just for me to tick something off my bucket list though; it allowed us to speak to (and dine!) with McDonalds managers in order to get an insight about the concepts behind the current McDonald’s restaurant evolution. We were first introduced to franchise, regional and restaurant managers who spoke to us about what the evening was going to consist of, their job roles and their plans for the business both local and nationally. I was soooo excited in the days running up to it but also a little nervous as it was one of just two blogging events I had ever been too! I needn’t have been though as everyone was super friendly and I ended up being grouped with fellow family v/blogger Hanna at MrsMorganPlus3 and the Candid Daddy. First stop was at the new ordering area whereby customers can place their own orders using screens. Now I have seen and used these before but after being talked through them in-depth by a Manager, it allowed me to see elements of it that I probably wouldn’t have noticed myself (particularly with children in tow!). For example there is a button on the bottom right that allows children or those seated in a wheelchair to pull the ordering window to the very bottom of the large screen to allow easier access for all which I thought was absolutely fantastic! 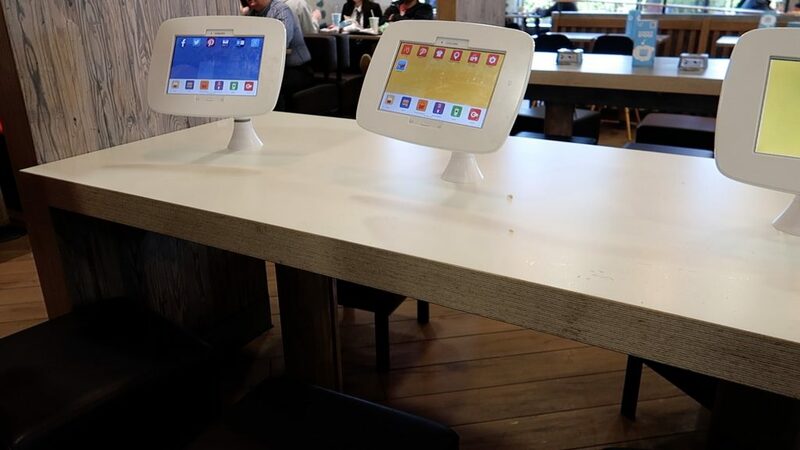 These screens not only allow customers to place their own order but to also request table service. Throughout the whole restaurant there are now zones; just before you make payment you are asked to choose a zone, take a seat and your meal will be bought straight to your table! Gone are the days where you are struggling with your tray full of food whilst getting your condiments or when you used to be stood around with your trays just waiting on someone to leave! 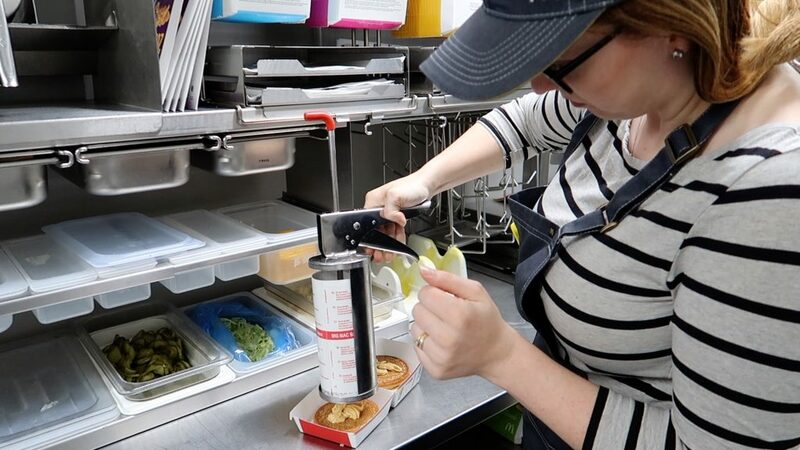 Gone also are the days too where you have to take out the pickles….. you can even customise your burger on these bad boys now! Being a parent, I had already been introduced to, lets say, the new children’s area they have recently installed in this branch which is home to 4/5 tablets. I love that these are close to the counter/ordering stations to and not at the other end of the restaurant, so whilst parents are stood ordering their food they too can keep an eye on their children at the tablet station. 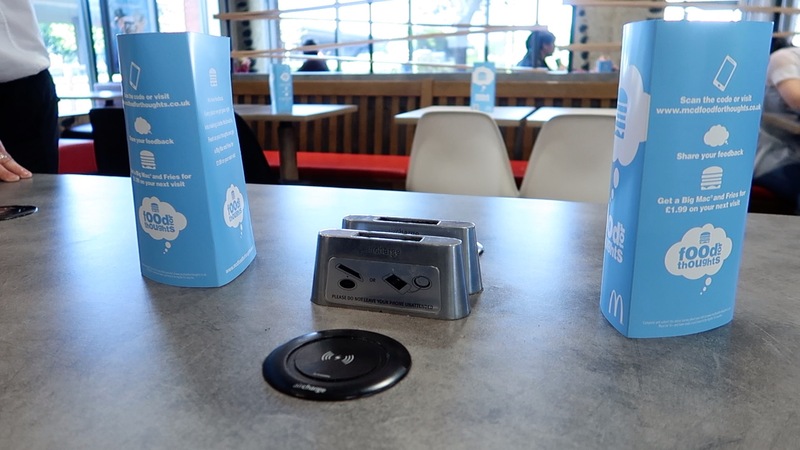 Although I had seen the tablet station before; I hadn’t ever noticed the new charging ports that are located at some of the benches within in the restaurant! This again is such a good idea and is again located near to the kids tablets too so your not far away should you need to charge your phone. Next up we were taken to the counter. 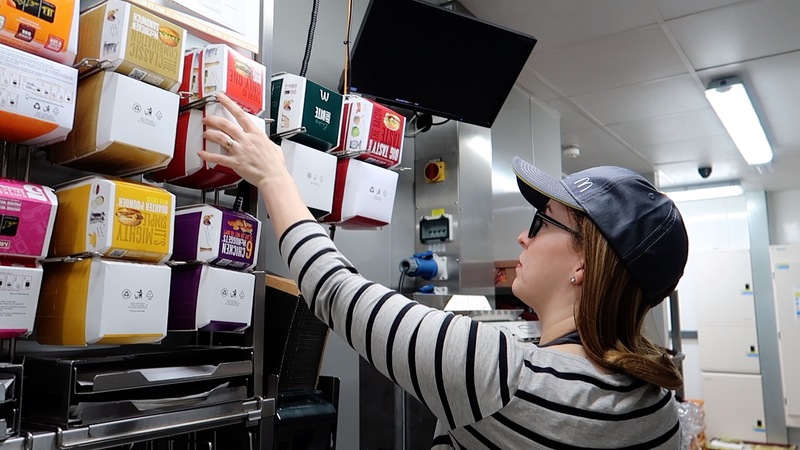 We were shown how although McDonalds very much promote and prefer to offer the table service option to their customers; they still do allow people to pop up to one of the two remaining till areas to pay cash and/or collect their food themselves. This picture I feel speaks volumes…. 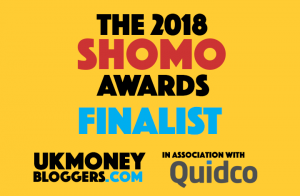 every single thing was as structured and organised…. just look at those boxes! 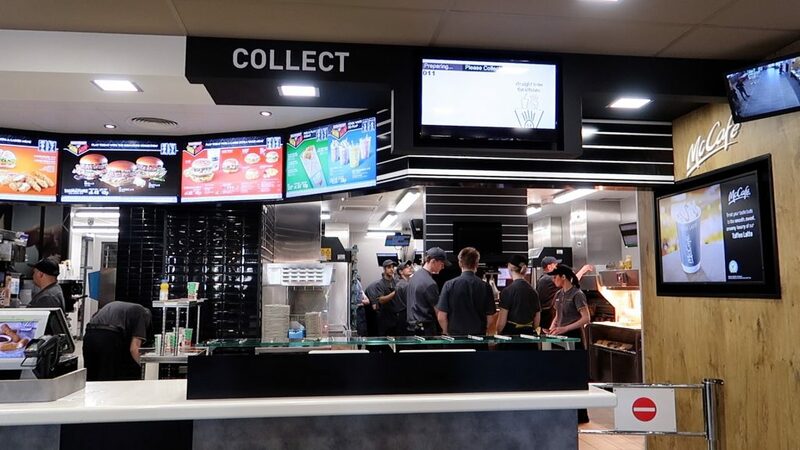 We were taken through the ‘drive through only’ area of the kitchen and found out that the majority of sales in this restaurant comes from the drive through’s alone meaning the need for a specific ‘drive thru’ section of the kitchen is a must. 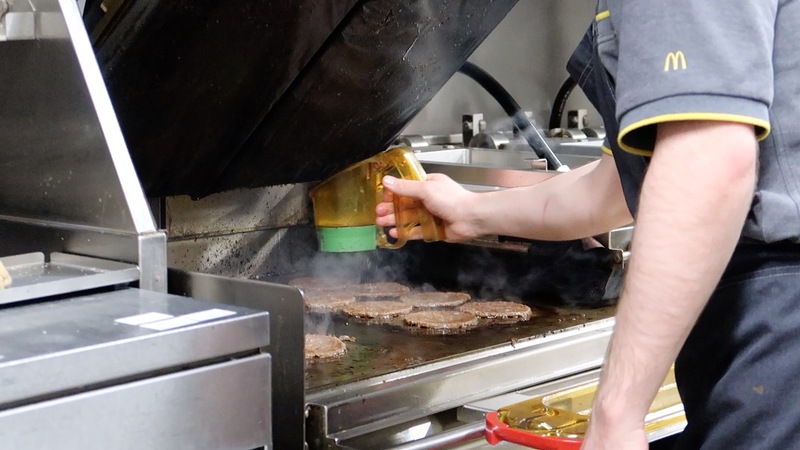 We headed on through the restaurant only section of the kitchen and then watched workers as they used the highly sophisticated grills (that even know what type of meat/burger it is just by lowering the lid down to work out the thickness!). Now it was time to do something I never EVER thought I would do in my entire life….. I only got into a McDonalds own uniform (name badge, hair net and all!) and had the opportunity to make my own Big Mac !!! 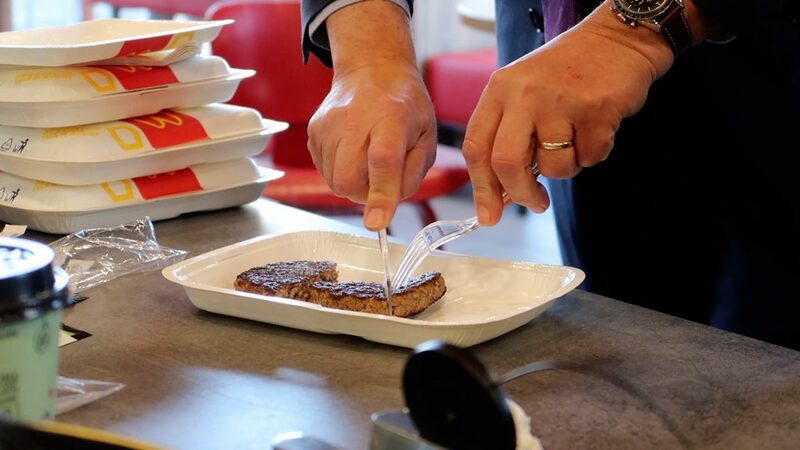 I’ve already touched on the fact everything seemed so structured so when I was shown how to make a Big Mac; something I thought was just a case of sticking a burger in a bun along with some cheese and sauce I was really surprised as it isn’t like that at all! The process is so specific even down to the grams of the onions you put in there! 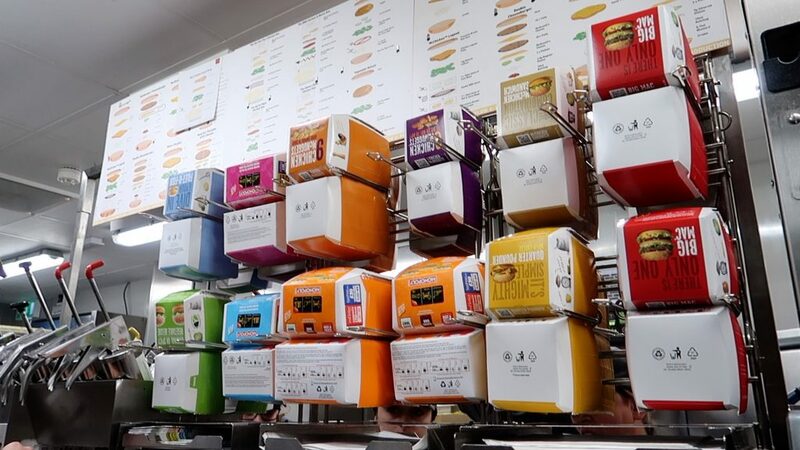 Above the ultra organised boxes they have step by step guide of each burger, what should be in each of them and in what order things should be put together! Never did I think in my life would it have been so complex but once I had done it and seen how many orders they turn over in a day I realised that someone somewhere would have specifically had to research and demonstrate the quickest way to make a Big Mac because I can totally see now that there is no way that you can just pop a couple of burgers together along with some sauce and expect to turnover the amount of burgers they do each day at the same high standard as the last. 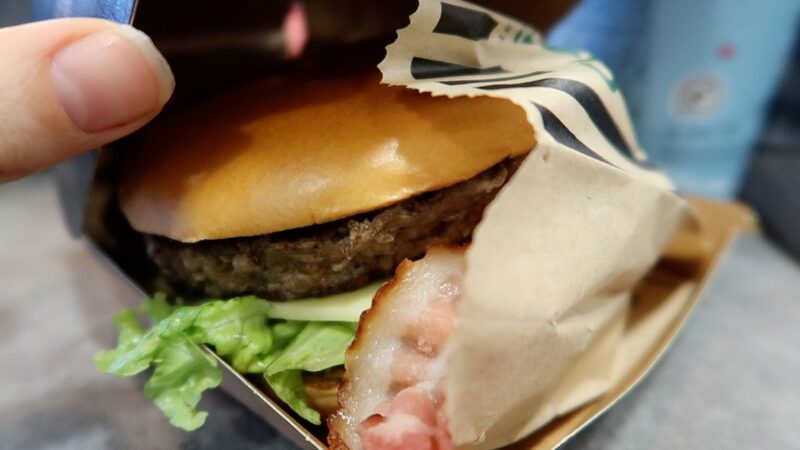 I was also lucky enough to try one of the new Signature burgers…. they were sooo good! Theres 3 signature burgers on offer; being a far from adventurous girl when it comes to food I of course opted for the classic but they also do Spicy and BBQ too! The taste and seasoning was unreal… you must try one! I think until you stop, sit back and compare it now to what it used to be like and the changes they have had to endure over the years from the packaging designs, they now openly advertise the calories in each of their foods, they are no longer required to manually update menus/prices on the black backed boards behind the counter given its now all electronic, even to Ronald McDonald (where has he even gone!?) …. the changes have been unreal yet the service they provide to their customers and their organisation behind the scenes is still of an extremely high standard!! If you want to read a little more about ‘What Makes McDonalds’ you can do so here. This post was sponsored by McDonalds but all views are my own.